Whether it’s the packing, the logistics or the costs, there’s no easy way around it – moving home is stressful. Many people try to find ways to ease the stress and one of those is to use friends and family to help with the move. But does this choice help with stress levels or actually make them even worse? Let’s take a look at how using friends and family could impact on your stress levels during a move. The main reason people give for using friends and family is because it saves them money. For the cost of a few beers and some petrol money, you have the help you need to get you from one property to another. Even if you go to the extra expense of hiring a van for the day, for most people the friends and family option will still be a cheaper option than hiring the professionals. Family and friends, level of stress – saving money can only be a good thing so, Low. The professionals, level of stress – Depending on who you choose moving can become relatively costly so Med/High. A useful option to consider when drafting in friends is to move some of your belongings into their spare rooms or garages in advance of the move. This ideally leaves you with just the big items like furniture to move on the actual day of the move. You can then retrieve your stuff in the days following your move, at your leisure. Family and friends, level of stress – Potentially very HIGH for your friends, if you don’t pick up your stuff when you promised to! For you, very LOW. Less stuff to move on moving day means an easier day for everyone. The professionals, level of stress – Simple and straightforward, you pay for what you get. Getting friends and family to pack for you can be fraught. You’ll probably want to do your more precious and valuable items yourself so you will need to set aside some time for this. You have to bear in mind that, unlike a professional packing team who do this for a living, friends and family are not experienced in this and so may not be as efficient or careful with your packing. Most of your friends and family will be careful with your things but it’s inevitable that a few items might get damaged during the move. If you’re using friends and family, you have to accept that accidents happen, and treat them as such – accidents. Of course, with a professional moving company, you would be fully insured for any such incidents. If you hire a professional team, you will have one point of contact on that team that you can pass all questions, orders or suggestions through. They will then pass the information onto their team. With friends and family though, you’re not their customer and so you will find that they will not be shy in offering their advice on the best way to do things, or how they would do things differently and perhaps even disregarding your request because ‘they know better’. Depending on the family dynamic, you might find it difficult to give out necessary orders. 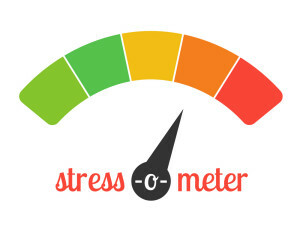 Family and friends, level of stress – potentially OFF THE SCALE!